This month I was able to upgrade my phone! Woohoo! Goodbye iPhone 4S, hello iPhone 5S! Yes, I really was excited about it haha. 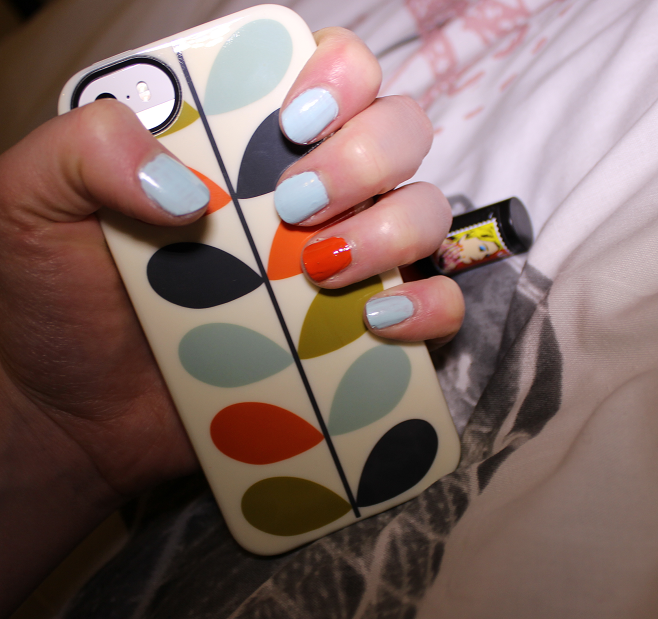 Anyway, it basically means I can get lots of new phone cases to make my new phone look all snazzy. Even if I am actually loving having a white and gold iPhone for a change after two black ones. 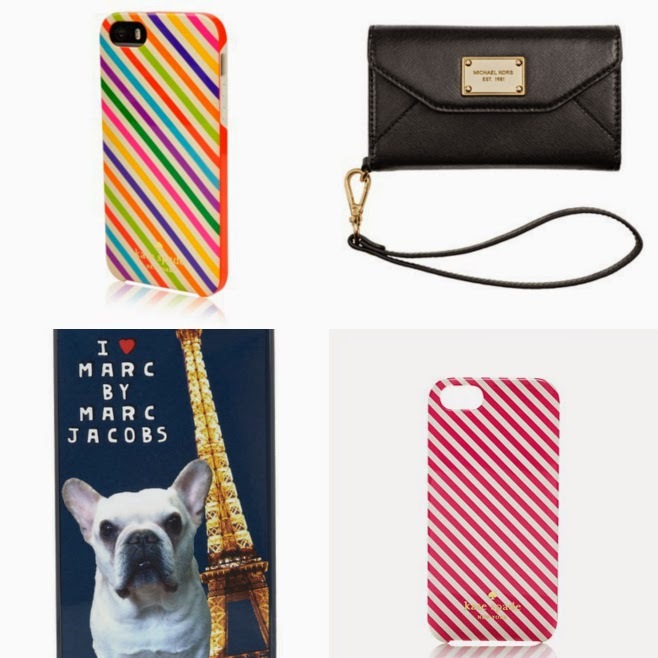 Clockwise from top left: Contour Kate Spade Case for iPhone 5 (link), Michael Kors Clutch Wallet Case for iPhone 5 (link), Marc by Marc Jacobs Pickles iPhone Cover (link) and Kate Spade Harrison Stripe iPhone Case (link). I just love the cute Kate Spade designs, I'm obsessed with Michael Kors and I'm also obsessed with Paris and French Bulldogs so these are all perfect for me! Do you have an iPhone? What cases do you have and recommend? 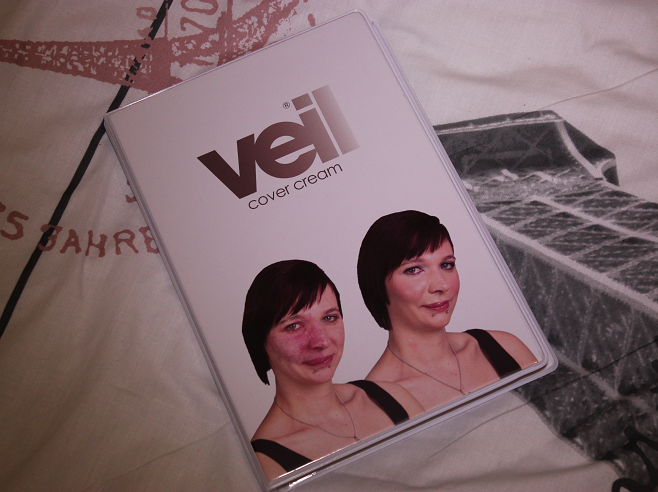 I was recently offered the opportunity to try Veil Cover Cream, a high coverage cream concealer for tattoos, scars, blemishes, birth marks and various skin conditions. As I don't have tattoos or scars, this isn't usually the type of product I'd be interested in, however a while back I read a blog post by Shannon over at Raspberrykiss (link) and I was amazed at how flawless this product made her skin. 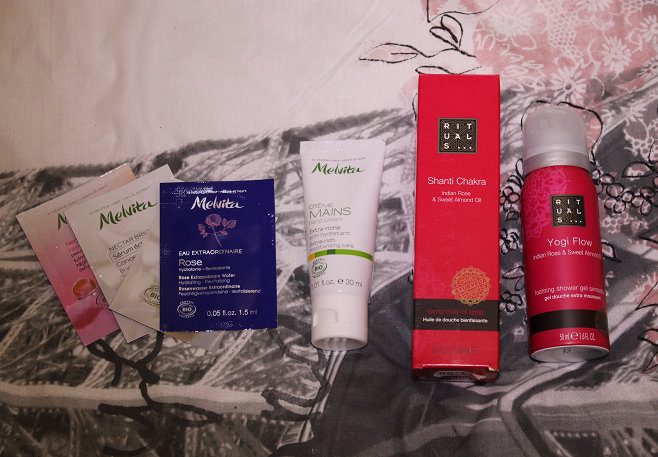 I get a lot of hormonal blemishes on my chin area that leave scars behind so it's quite tricky to find products that completely cover this area. I tend to get redness around my nose and on my cheeks too. 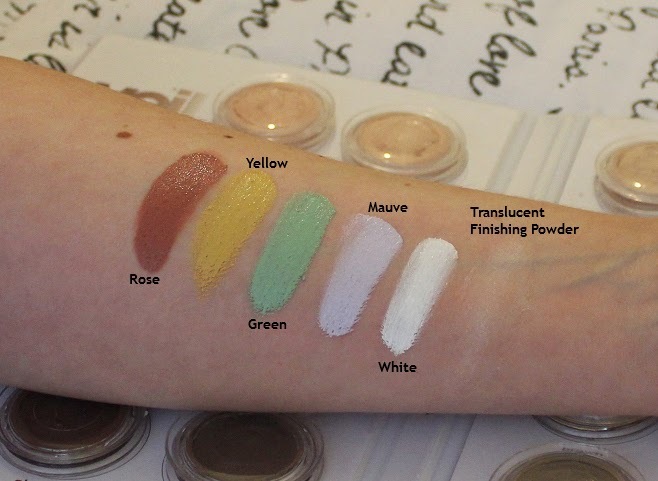 The product I was sent is the Demonstration Kit* that contains a wide range of shades including some colours like green and mauve which you can use underneath the more skin-like colours for extra colour correcting. 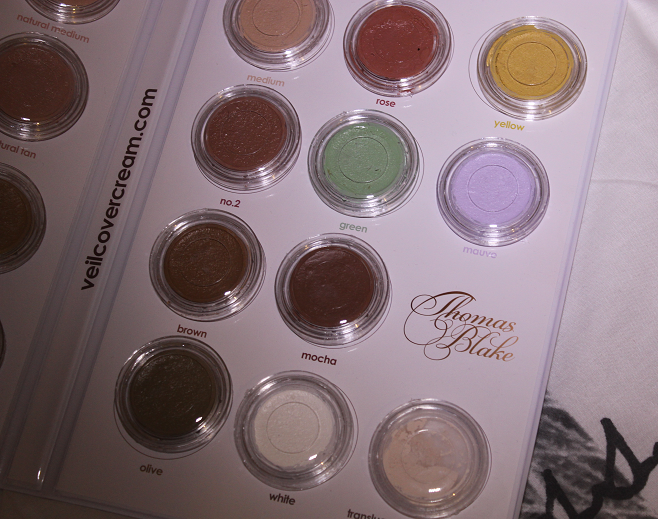 I reckon this kit would be fab for makeup artists who need to be able to cover any skintone. 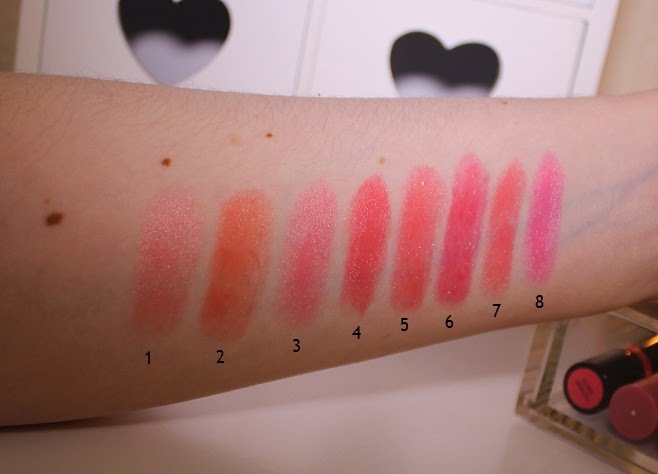 I've swatched all of the colours below so you can see that there is a colour for pretty much everyone. 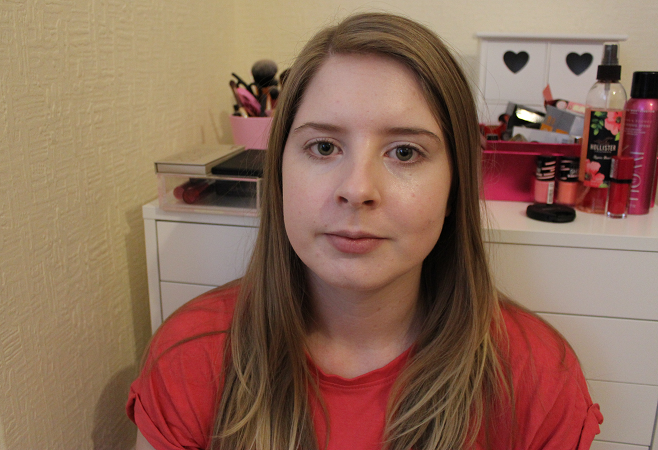 So I've included a photo of me without any makeup on so you can get an idea of the coverage but honestly, this is amazing stuff! The product has a thick, creamy consistency that is so easy to apply to the skin. 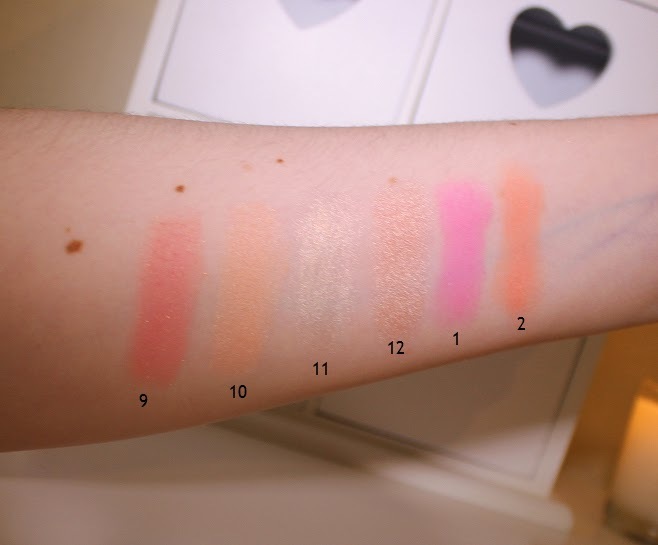 I normally use brushes for foundation application as I can never get the finish I want with my fingers but I actually applied this with fingers and it just glides on to the skin so easily and sort of melts in. 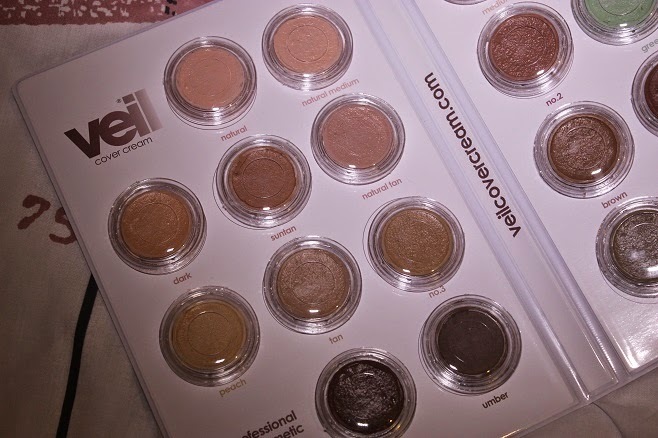 It's super easy to blend and spread across the face. A little bit goes a long way with this too. I used the shade Medium and that seemed to be a great match for my skintone. I thought I would have to add some white or mix a few shades but I didn't. 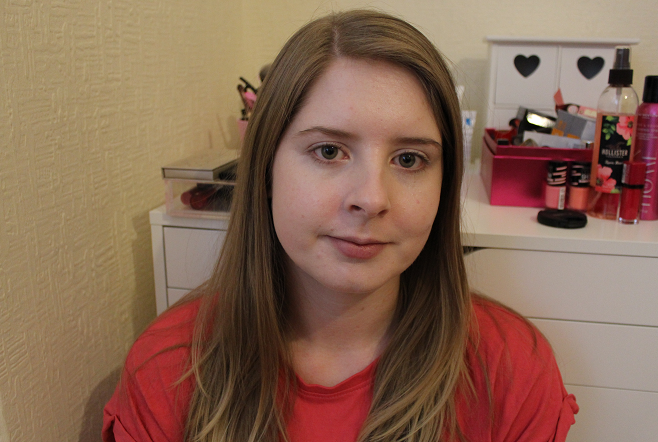 I have quite dehydrated skin and I find with a lot of foundations or concealers they can end up going a bit flaky and uneven around my nose area but this didn't have that problem at all. 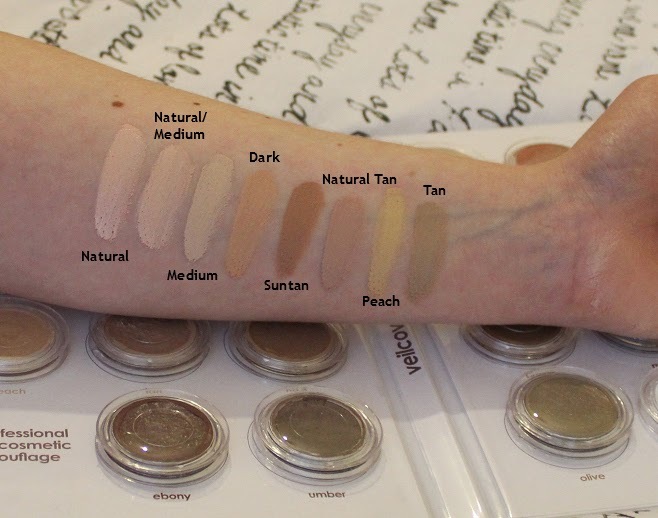 I thought with this being a high coverage product, it would look quite cakey but it's really natural looking and feels really light on the skin. 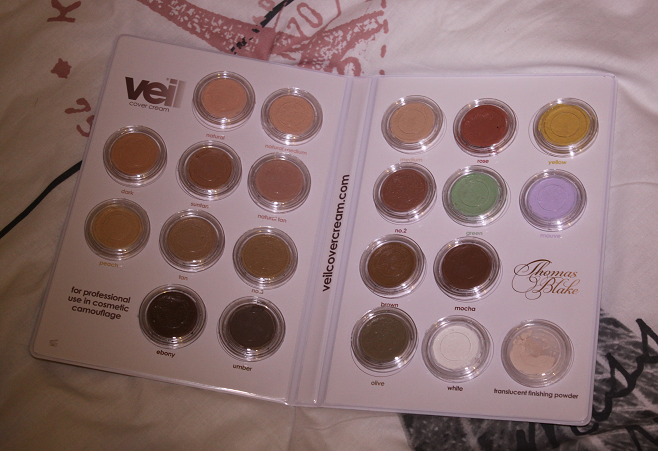 As you can see it covers blemishes and redness so well too. It even lightens up my dark circles quite well. 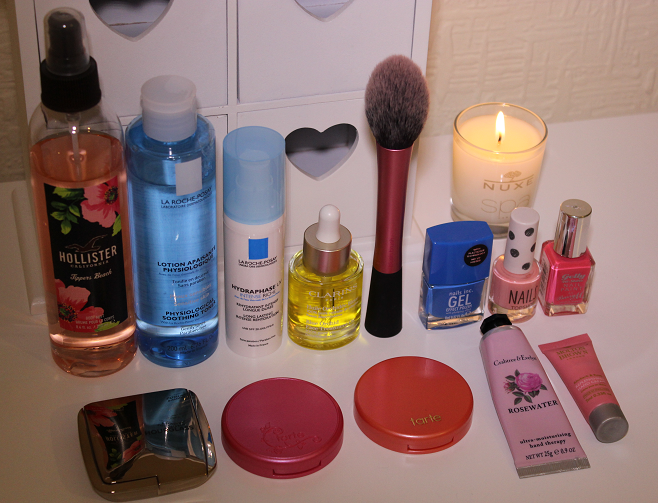 I'm so impressed with this stuff, it's a miracle worker! 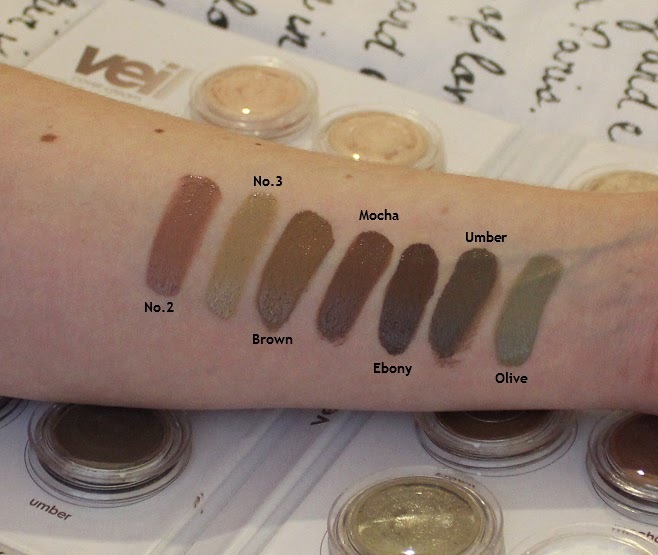 The Veil Cover Cream costs £19.95 for 10g or you can get a massive 45g for just £14.05 extra (link). I think this is a fantastic price for such a high performing product. 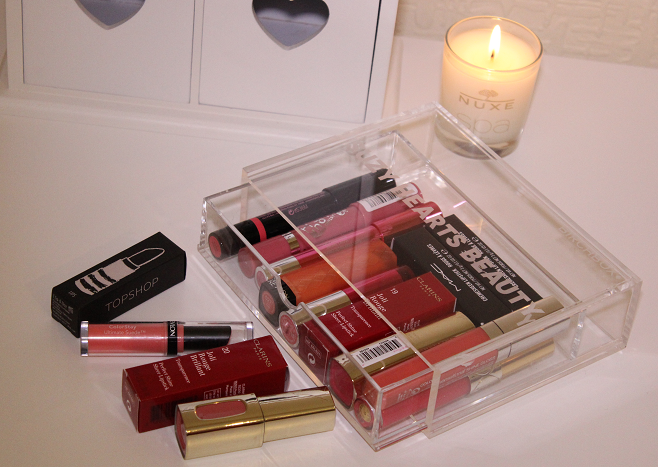 I've also noticed that you can buy sample kits for £6.50 (link) which will be refunded from your next purchase so that's great if you don't want to invest in the full size without trying it first. Is this a product that you'd be interested in trying? 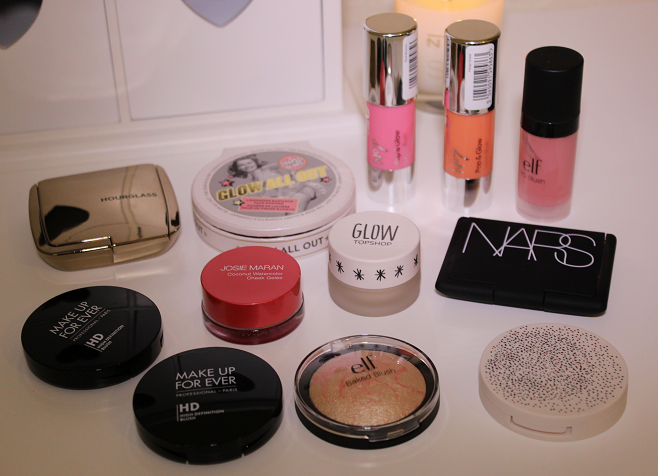 This is the final part of my Spring Makeup Picks series. 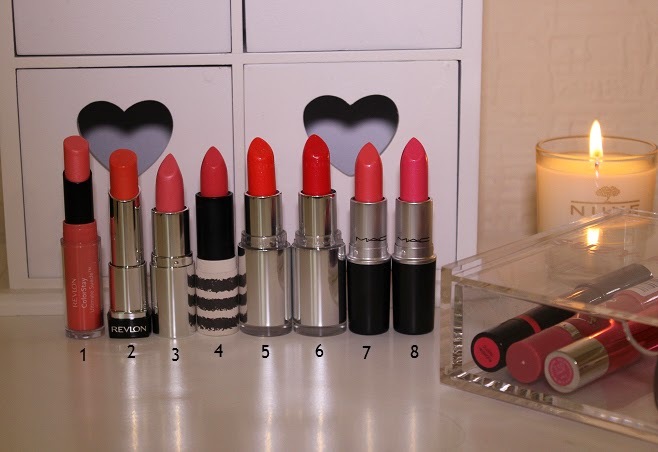 If you haven't read the others, part 1 is about lips (link) and part 2 is about cheeks (link). Today I'm showing you my favourite nail colours for Spring. 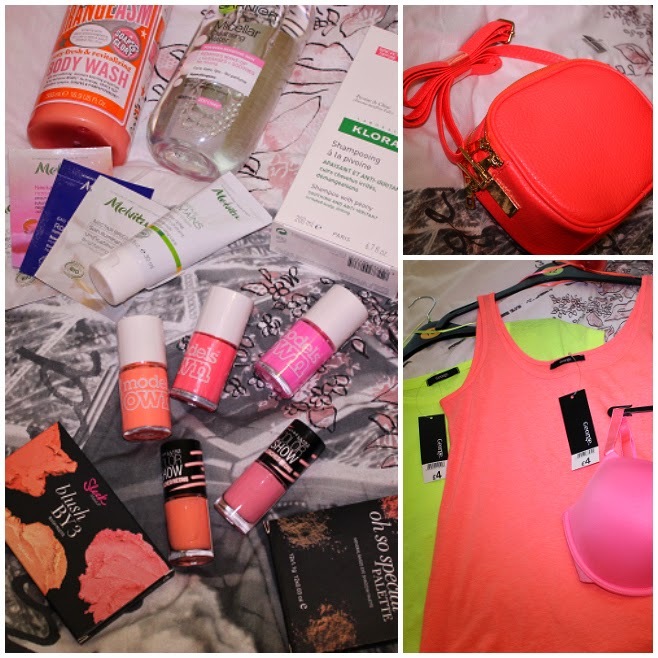 I think I've picked a good range of pastels, nudes and brights so there's something for every occasion and outfit! What nail polishes have you lined up for Spring? 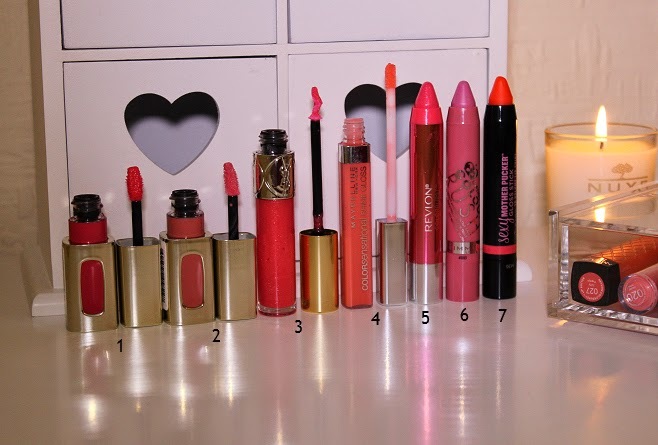 Which are your favourites in this post? 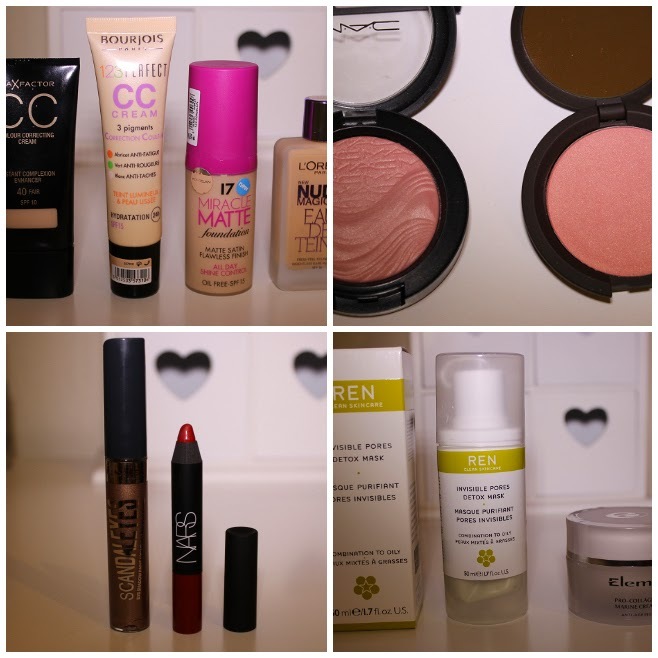 Back to beauty on the blog today with my March Favourites. Can't believe it's April already but I'm really glad as I'm desperate for the long bank holiday weekend to arrive! I bought the La Roche-Posay Physiological Soothing Toner back in February when I was on a mission to buy anything and everything (link to haul post)! I eventually finished my usual Elemis toner so got round to using this in the last week of March. This is a very gentle toner suitable for sensitive skin that is paraben, soap, colorant and alcohol free. It has the same soothing, clean scent as their Physiological Cleanser and Exfoliator which I've tried before and loved. I've been enjoying using this and I feel like it's been helping to improve the look of my skin. 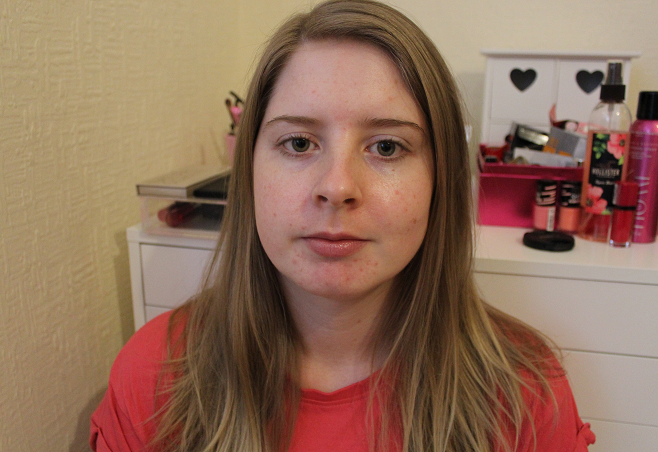 Firstly, the spots I had on my chin seemed to calm down and I've noticed it makes my skin look more radiant when I've got makeup on. I wasn't actually expecting it to do that! 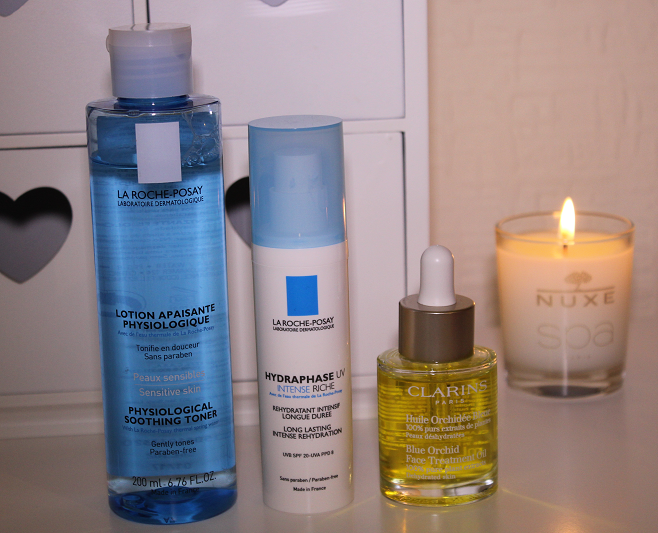 Another La Roche-Posay product I've been loving is their Hydraphase UV Intense Riche. Now that I'm seeing more daylight before and after work I thought I would use a moisturiser with SPF in it. This has SPF 20 and protects the skin from both UVA and UVB rays. It's a rich cream based moisturiser that is fantastic for my dehydrated skin. It adds a lot of moisture without making my skin look greasy. I love the pump applicator too as it's more hygenic than putting your fingers in a pot of moisturiser. They do a light version of this moisturiser so I think I'll be picking that up next for the Summer months. The Clarins Blue Orchid Face Treatment Oil has also been helping my dehydrated skin. Back in January I went through a phase of using it every night for a few weeks, now I just top up once or twice a week and my skin stays lovely and hydrated. It feels like a luxurious treatment for your skin before bed and I wake up with a lovely glow to my skin. The pipette makes controlling the application easy work as you only need a few drops for your whole face. I've had some Hollister Body Mists tucked away in my stash since around September so I decided to pull the Tippers Beach one out to try. 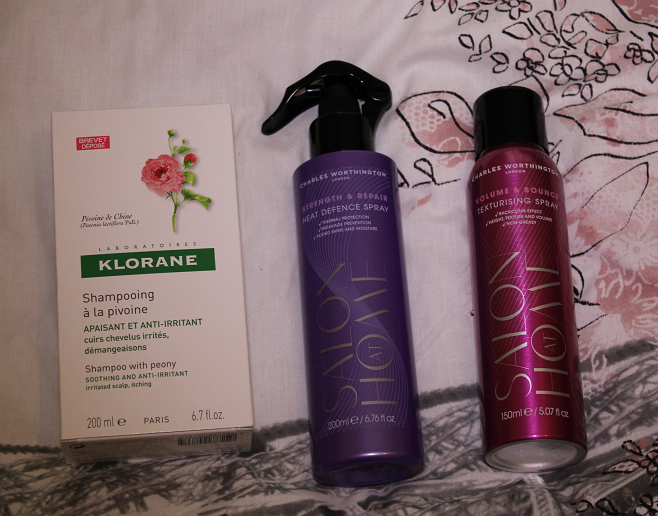 I quite like using body mists in the Spring/Summer months as they are refreshing on the skin and lighter than perfume. This has a very sweet scent, a bit like strawberries so it's right up my street. 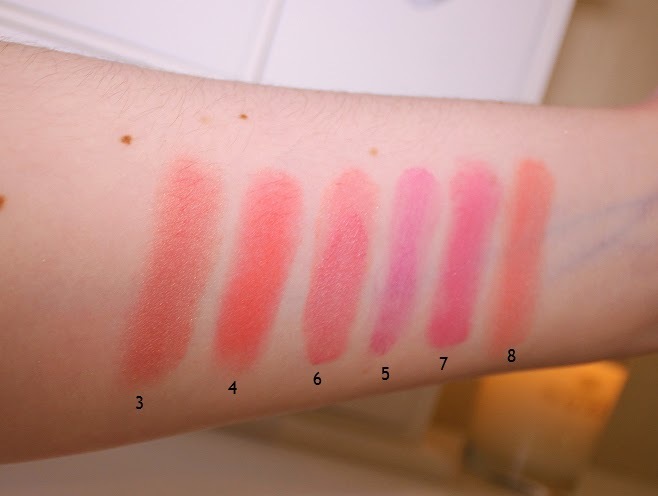 I recently picked up the Real Techniques Blush Brush and it's amazing! I've only tried it with powder blush so far but it's amazing at picking up the right amount of product to seamlessly blend over the cheeks. 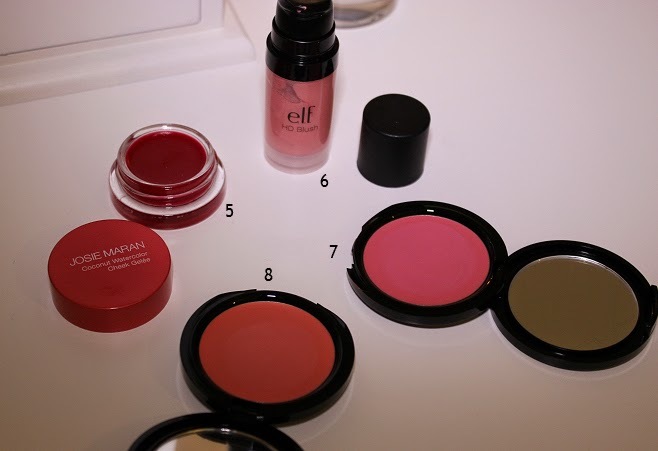 The tapered shape means you don't add a massive circle of colour to the cheeks by mistake. It's the perfect size for sweeping up my cheekbones too. My hands have been so dry recently. Since I've been cooking from scratch a lot more, I've been doing so much more washing up and it's taking its toll on my hands. I've been trying a few hand creams that I received in beauty boxes and they are fab. The Crabtree & Evelyn Rosewater Ultra-Moisturising Hand Therapy came from a You Beauty Discovery Box (aka my favourite beauty box) and like the name says, it really does deeply moisturise the hands as well as leaving a beautiful rose scent. The tiny Molton Brown Rhubarb & Rose Replenishing Hand Cream sample came from a BirchBox. This is a good moisturiser like the other but the smell is even more gorgeous. 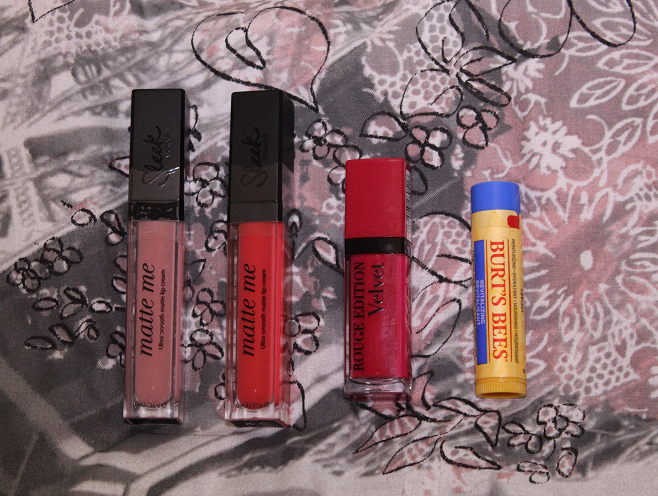 It smells like those Rhubarb and Custard boiled sweets you get from old fashioned sweet shops! I love it! 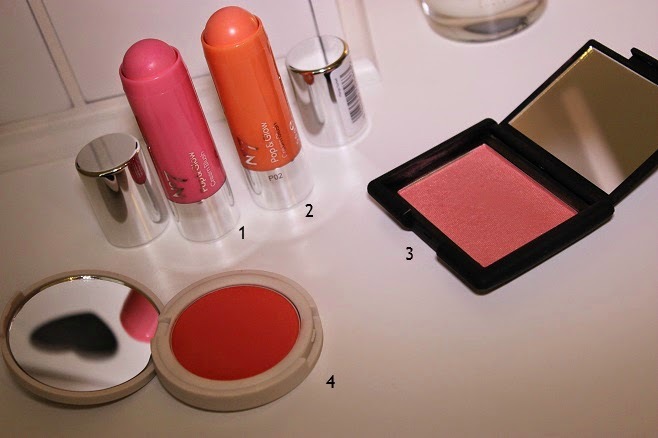 I've been rather blush obsessed this month with the Hourglass Ambient Lighting Blush in Ethereal Glow being my favourite work blush. It takes a lot of building up to see it on the cheeks but I love the subtle look for work as I don't usually wear blush there so it's been a good way to start introducing it to my routine. 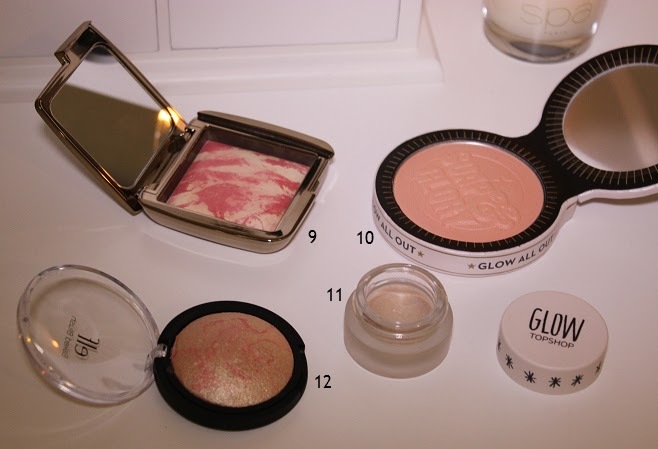 There is more of the Ambient Lighting Powder than coloured blush in this one so I tend to get a very slightly tinted glow to my cheeks with this but it looks good on my pale skin. 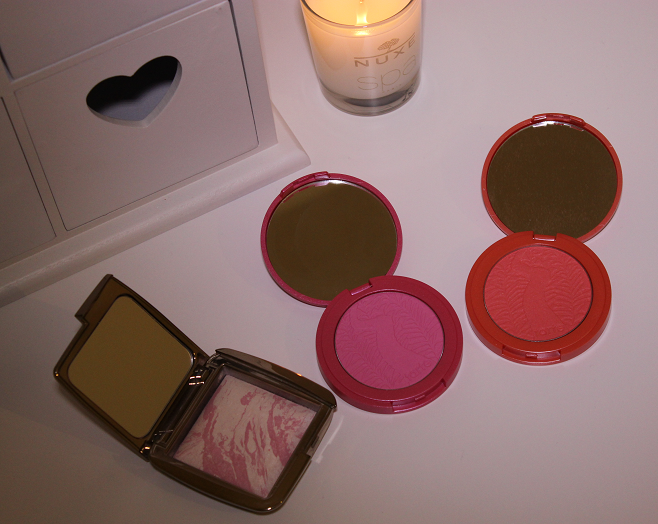 Thanks to Sephora shipping to the UK now I managed to get my hands on two of the lovely Tarte Amazonian Clay 12-Hour Blushes that I've been wanting to try for so long. 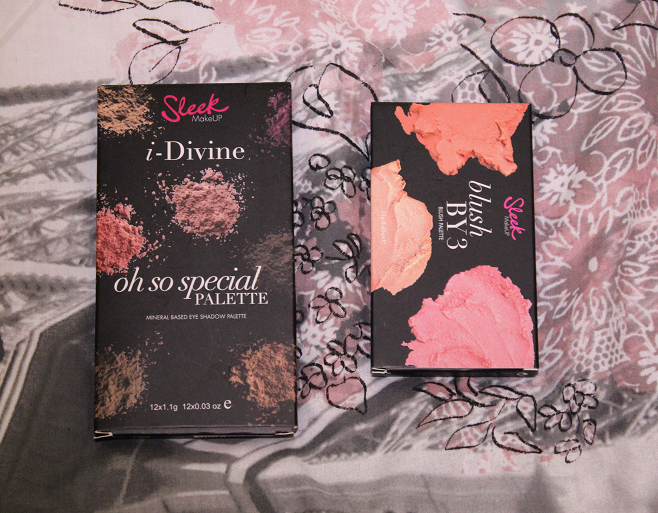 I got the shades Amused (pink) and Tipsy (coral) and I am so happy with them. 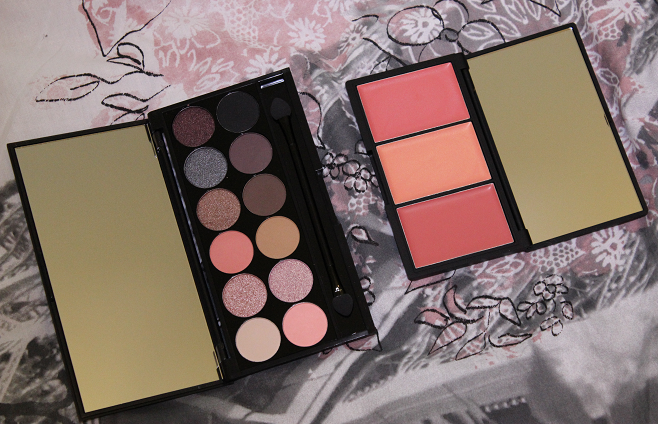 The colours are both stunning, they are pigmented but blend easily on the cheeks and last for hours. I definitely want to try more of these. Surely I can't place a third Sephora order yet though...can I? Haha. 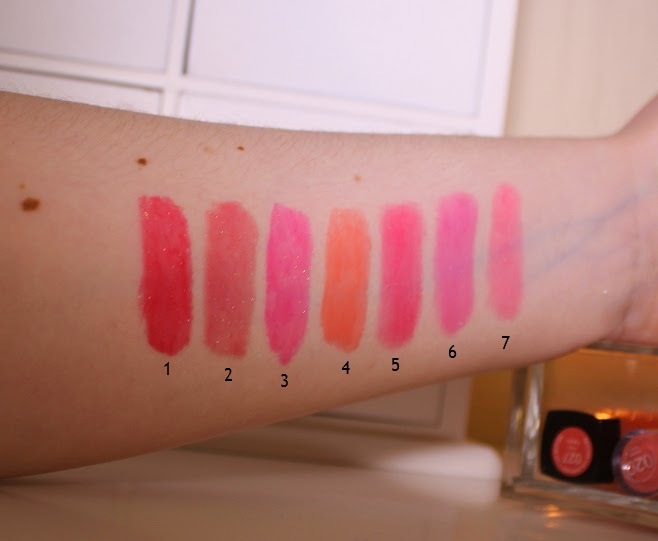 Tarte blushes plus some of their other makeup is now available on QVC UK but I've noticed they don't have the full range of blushes. I bought some of the Nails Inc Gel Effect Polishes in February and the first one I've tried is the shade Mercer Street, a bright medium blue shade. I really like the colour and the polish is quite shiny. 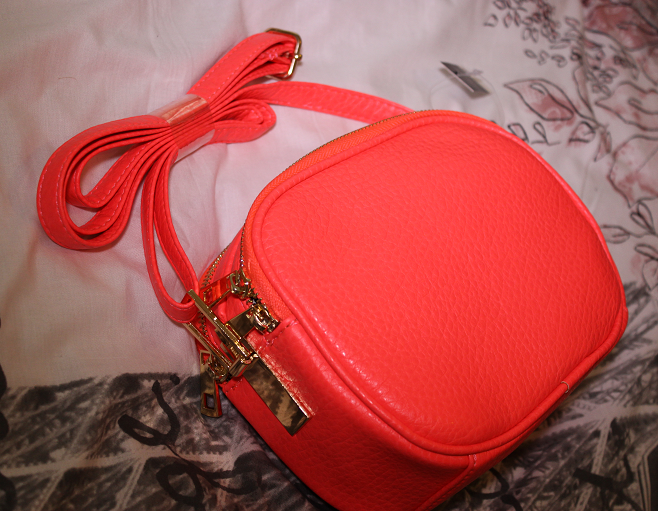 They are quite expensive so I probably won't be buying anymore but I've enjoyed wearing this. I rediscovered the Barry M Gelly Hi-Shine Nail Paint in Grapefruit when I was looking for a bright pink nail polish to wear on a night out. I love the Gelly formula as it's thick and applies really smoothly and opaquely on the nail. This was fairly long lasting on my nails too and the colour is really nice. 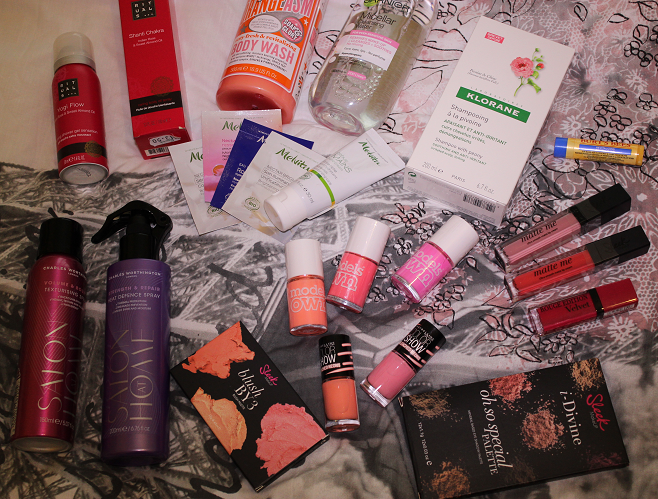 What products were you loving in March? It's been three weeks since I posted about my weight loss journey so I thought I better start sharing some meal ideas as I said I would! I'm going to start with main meal ideas as I have the most time to put into cooking evening meals so I tend to have more ideas in this category. I also plan to write posts on low syn snacks and packed lunch ideas though so stay tuned for those. Usually, eating healthily means having a portion of meat or fish with a plate of veg and to be honest, I couldn't have stayed on plan for so long if that's what I was having to eat. That would bore me silly. I like to have sauce based meals like bolognese, curry etc with lots of wholemeal carbs! They fill me up and make me feel satisfied so I'm often reaching for those foods. The good thing is you can add lots of veg to those meals too. They are also the kind of meals you can make in batch so that you have enough for other nights or what I like to do is take them into work to heat up in the microwave for lunch. My favourite meal has to be pasta bolognese as it's super easy to make and tastes delicious. It's syn-free too! 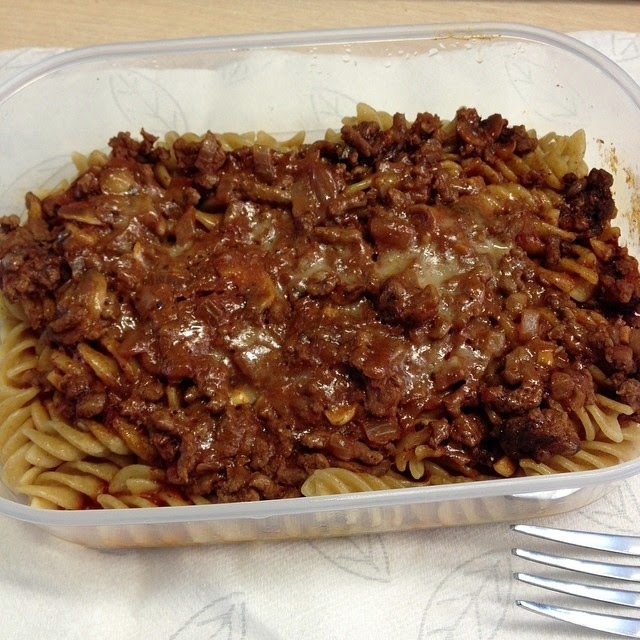 I couldn't find a photo of it on a plate so this is my bolognese on day 2 where I've taken it into work for lunch. Spray a frying pan with a few squirts of Frylight and heat the pan up. Add all of the mince to the pan and break up into small pieces. Fry until cooked. I like to brown it off. Meanwhile boil the kettle to add around 280ml of boiling water to the crumbled Oxo cube. Transfer the frying pan contents to a large saucepan. 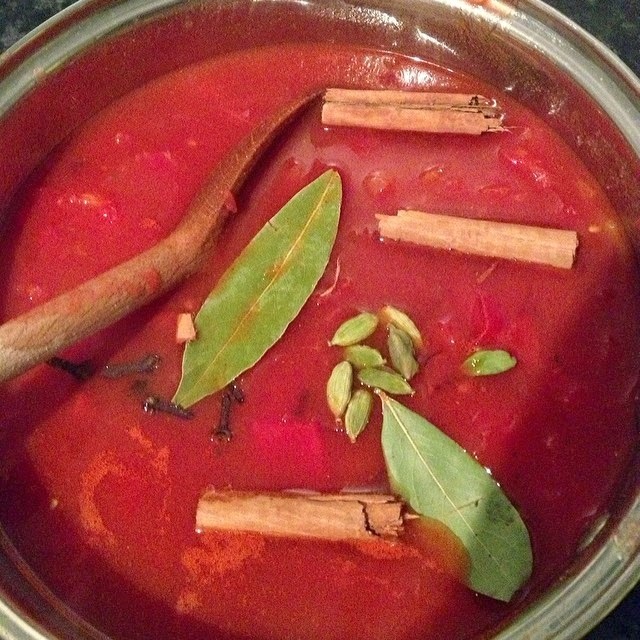 Pour into the saucepan the Oxo stock and the passata and give it a good stir. Start heating the saucepan on a low heat. Add the tomato puree, oregano, Worcester sauce, salt and pepper (to taste) and stir again. Once all of the ingredients are in the pan, I let it simmer on a low heat for 30 minutes. I like to serve this with wholemeal pasta and I sprinkle grated grand padano cheese on top using my dairy allowance for the day. A website I've found through looking at images on Pinterest is Slimming Eats. They gave me the ideas for the Tuna Pasta Bake and Sweet Chilli Chicken (below). 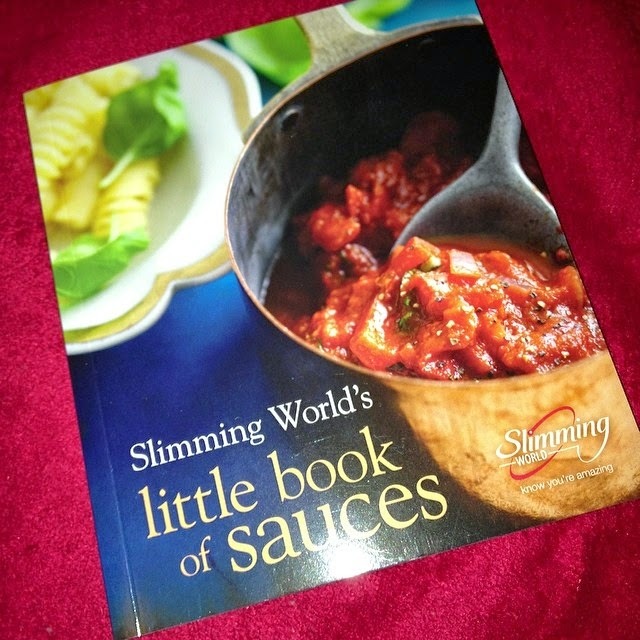 I've been loving a book I bought from my Slimming World group for £4.95 called Slimming World's Little Book of Sauces as I love the Rogan Josh recipe. I've been adding prawns to mine and it's the best curry I've ever had! It's got a good range of English, Indian, Eastern and Mediterranean recipes that go great with meat, pasta, rice etc. The Slimming World website also has a lot of recipes that you can access even if you're not a member. I think you may get access to more if you're logged in though so if you are a member don't forget to do that in case you are missing out. The recipes accessible to all can be found here. 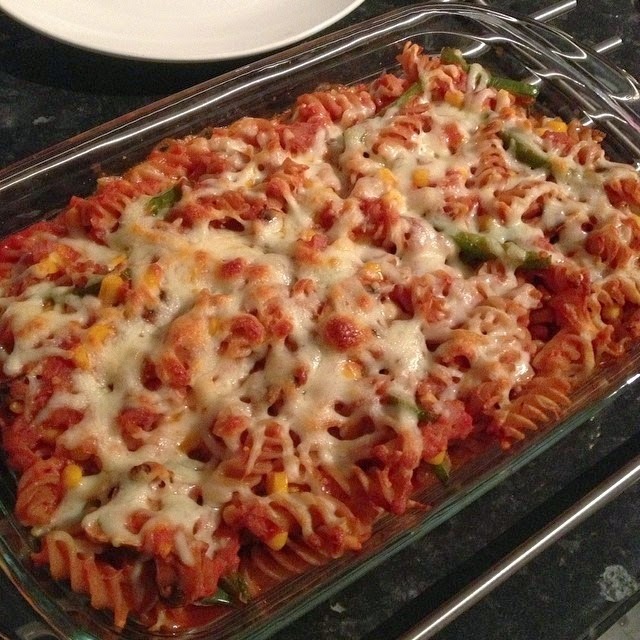 Tuna Pasta Bake - this is an adapted version of the one from Slimming Eats (link). I don't add the cherry tomatoes, parsley or sugar and I don't necessarily use a yellow pepper. I tend to use green but that doesn't really matter! I also add sweetcorn and sliced button mushrooms to mine as well as using a reduced fat mature cheddar rather than mozzarella. It's really tasty and syn-free since I don't use the sugar and the cheese is within my dairy allowance. 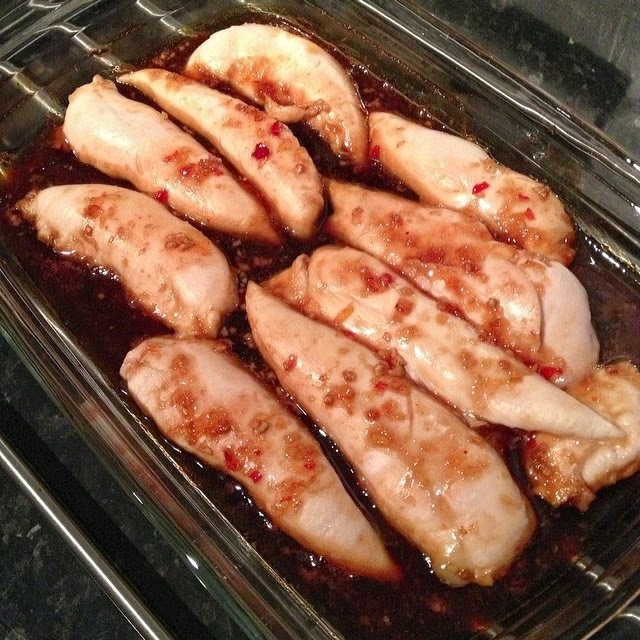 Sweet Chilli Chicken - I follow the recipe from Slimming Eats (link) but I use chicken breast fillets rather than drumsticks. This is sooo nice! 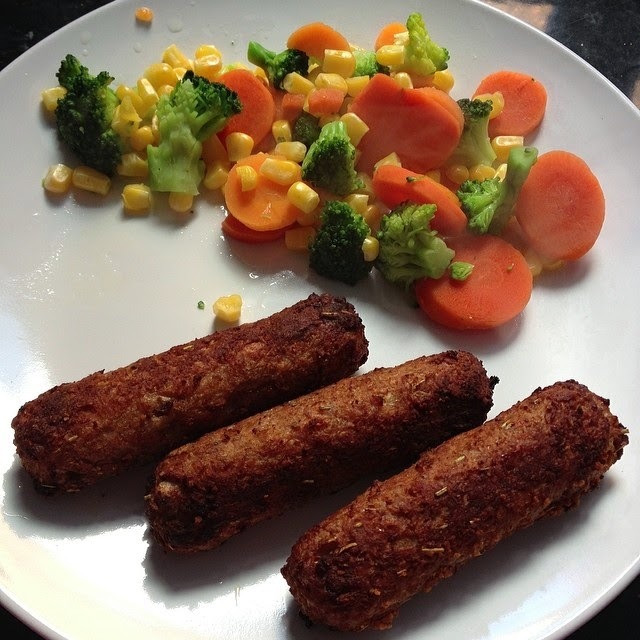 I tend to serve it with wholemeal rice and some veg like those microwaveable carrot and broccoli bags. It's good because you can pour some of the leftover sauce over the veg to make it extra tasty. This one contains a few syns per portion but I don't mind doing that a few times a week. I do generally like to have syn-free meals where I can though to allow myself more treats after mealtimes! 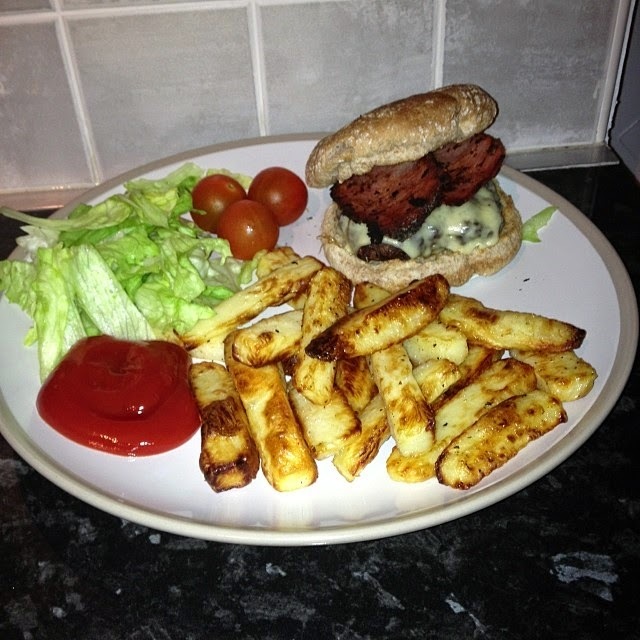 Bacon cheeseburger with Slimming World chips and salad - yes, you can even have burger and chips on this plan. That's what makes it so amazing! I've only had the burger once since I've been on Slimming World but I would like it again sometime soon as it was delicious. There are various burger recipes here and the chips recipe is here. The only syn on the plate above was 1 syn for the ketchup so I still had syns left for chocolate! You wouldn't think I was on a 'diet'! 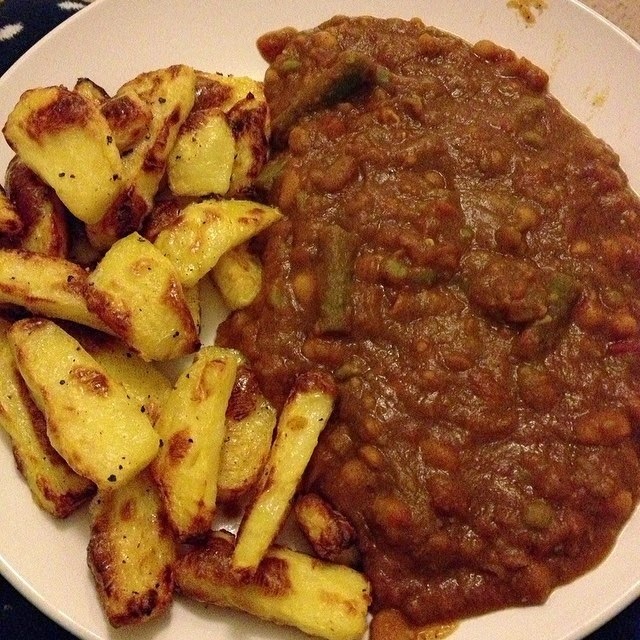 Mushy Pea Curry - sounds disgusting but actually tastes delicious. This is a really simple one to make too. I just used a tin of baked beans, a tin of mushy peas and a tin of chopped tomatoes. You then add curry powder to taste (I used around 2 dessert spoons of hot curry powder) and you can add any veg you want. I went with green beans but you could add loads of different things to this. You could also add meat/quorn if you fancied. I served mine with chips but I've had it with rice too. 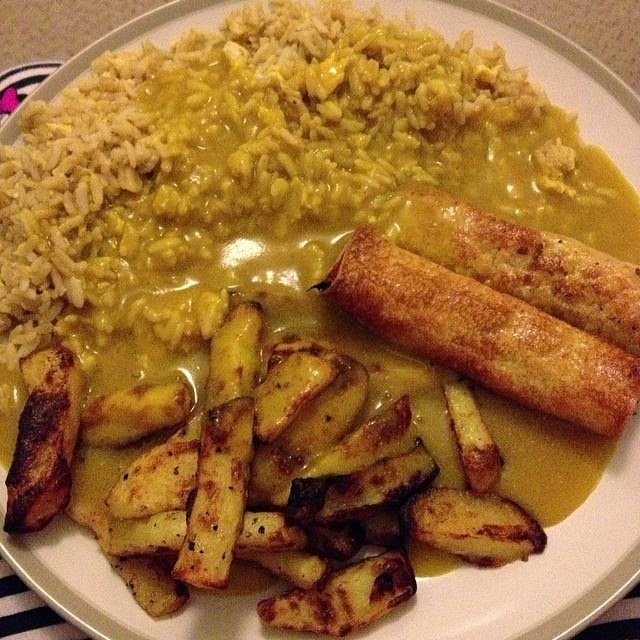 Chinese Curry Sauce, Egg Fried Rice, 'Spring Rolls' and Chips - Before Slimming World, I had a chinese EVERY Saturday so I decided to try and make a Slimming World version. Yeah I haven't made any fancy dishes but that can be done if that's something you want. The chips are made using the recipe I linked above, the curry sauce was made using Maykway Curry Sauce (hot version) so I had to use a few syns for this, the rice was just boiled wholemeal rice that I popped into the frying pan with frylight and whisked eggs. The 'spring rolls' were made using dried canneloni tubes available from the pasta section of the supermarket which were boiled until soft then I stuffed them with a pack of pre packed stir fry ingredients (beansprouts, cabbage, carrot etc). You then spray them with frylight and pop in the oven until golden brown and crispy. They are pretty nice when you cover them in the curry sauce. One of the quickest meals I make is a jacket potato done in the microwave with baked beans. I think I've sickened myself on those for a little while so I've tried to find alternatives but they are definitely a very filling option that can be made quickly. Other fillings could be tuna and sweetcorn, prawns, leftover bolognese, chilli con carne etc. Linda McCartney Red Onion and Rosemary Sausages - these are available in the freezer section of the supermarket and they taste really nice. They are great for when you need something fast. I tend to have these after my Slimming World class when I get in at 9pm and can't be bothered to cook anything from scratch. They are syn-free too. 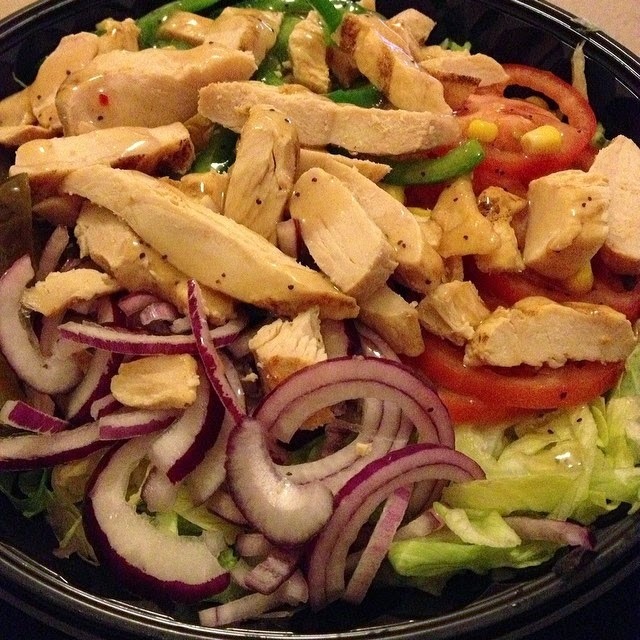 Subway salads - This is probably the only low-syn / syn-free food I can have from outside! These are a bit of a lifesaver when you want something fast and can't be bothered to cook. It's stopped me from having a takeaway a few times. Obviously it doesn't compare in the slightest but if you're willing to use a few syns, getting the sauce added makes it a little treat. The syn-free meat options tend to be the low fat sub ones like chicken breast, turkey and ham, etc but definitely check this before ordering. Also, the more creamy the sauce, the more syns it is likely to have! I thought I'd add a quick update at the end of this post so you know how I'm getting on. I'm in my 11th week now so I've had 10 weigh ins. I've had 'Slimmer of the Week' 3 times so far. I've had my 'half stone' and 'stone awards' as well as my 'club 10' (10% of my original body weight lost). My total weight loss is at 20 lbs so I'm hoping to lose at least 1 lb this week so I can get my '1 and a half stone' award! Hope this post has been useful. 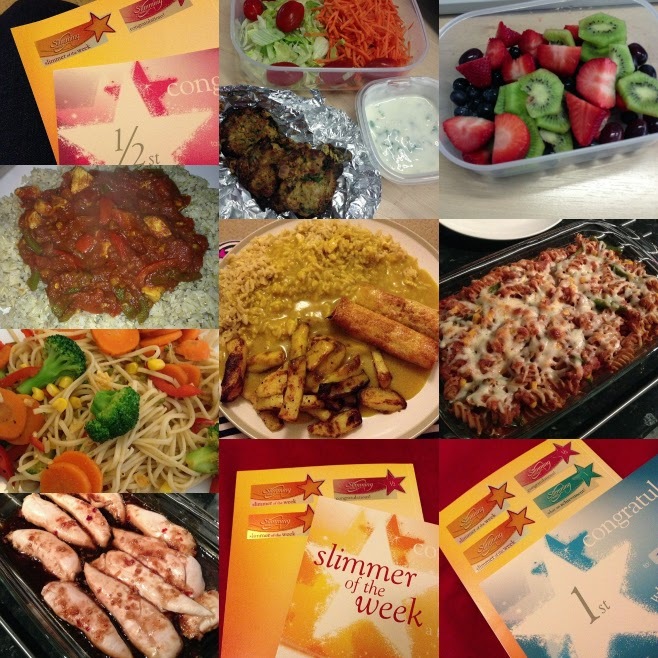 I'd love to hear what healthy (or low syn) meals you like to eat, whether you're on Slimming World or not.